Thanks Phil Kearns for showing us just how much the Waratahs semi-final loss hurt. But wasn't it great? I think it was fantastic. Seeing him express his displeasure like that is what we like to see. The all-New Zealand final between the Hurricanes and the Highlanders has been a great triumph for the coaching panels involved. You have to remember that coaching is like anything in life, you don't always get it right the first time around. You can bake a cake and it might collapse the first couple of times but if you know you've got the right formulation and you know what needs to happen you keep at it. In rugby, sometimes it's not the right person or just a matter of tweaking a few things, or players, and getting that right. The important thing is that both teams have grown in self-belief and winning builds culture. You can look at all the teams who have had terrible years and there is something to be said for the more you lose, the more despondent you get; you lose self-belief. The rats are always the first off the ship while the hard-toilers usually go down with it. 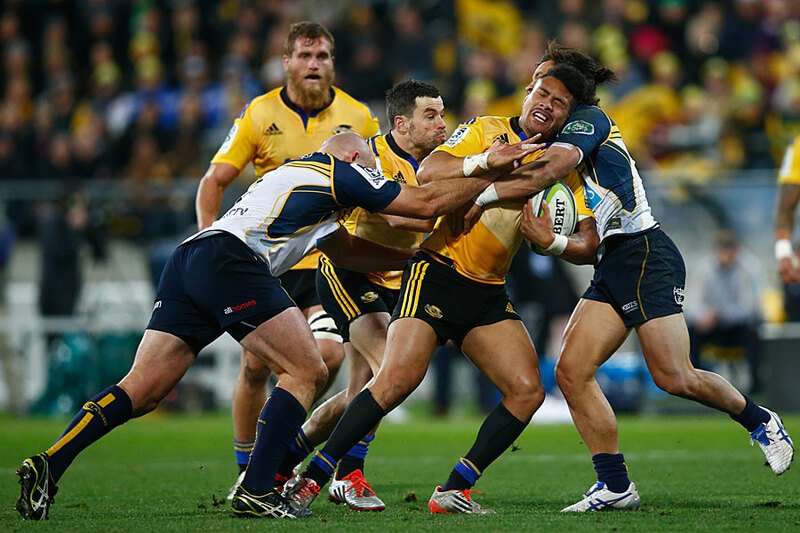 Jamie Joseph has got his formulation and he believes in a certain grit in the Highlanders. He works his team hard and I don't think he suffers too many fools. He's learned, I think, that superstars don't make a team. The one mistake he made was going and getting the best names on paper; but in this competition that's not necessarily what works. It's players that are hungry to play at the highest level. Joseph has developed a few All Blacks this year, and the opportunity to become All Blacks, and that's what players want. They want to be in that environment that is going to help them take their rugby to the next level. Chris Boyd has always been a good coach and when he did the Wellington Lions last year I looked at that and thought he had too much on his plate. He had just been given the Hurricanes job, and was expected to do the ITM Cup. And I do worry now about Tana Umaga because exactly the same thing could happen to him. Umaga's future is going to hang on the Blues' performance next year, not on the way Counties Manukau perform this year - he can't really focus on Counties this year. Boyd is the perfect example. He was building a team during the ITM Cup for Super Rugby and he was thrown a hospital pass really through trying to do both. You can't do it without making a mess of it. I think if the Hurricanes can get Ardie Savea back on the field he will be a huge boost for them. The way he has played in the last couple of weeks he has really sent a message to Steve Hansen and he is someone who is not too late to get on that World Cup plane. There is something to be said for 'out of sight, out of mind' because Savea is playing finals football in front of our eyes and getting better, whereas Matt Todd is in the All Blacks, by default, whether he gets any game time or not. The Hurricanes' backline is the best in the competition and Beauden Barrett will be better for the game in the semi-final because it doesn't take backs long to get back into the swing of things. And the platform the Hurricanes' forwards can lay down, they will be tough to beat. But with the Highlanders you just don't know. They're that side who have got X factor right through, they've got game-breakers and they play a style that can tip any team over. In the end I think the Hurricanes have got too many stars aligning for them; new All Blacks, blokes who have missed out, Jerry Collins, the home crowd. It is all set up to be the Hurricanes' big moment. Then again, I have seen the underdogs come through in events like this before, too, so it is going to be a great game. It's a good sign in a team when you can throw a ball and you just know that a team-mate will be there to catch it. 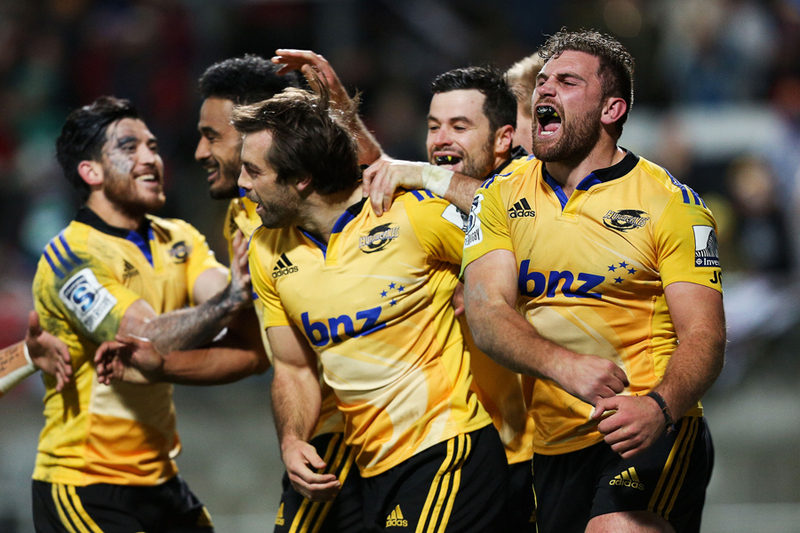 Both teams, the Hurricanes and the Highlanders, have the players backing each other up and showing that trust, and that sort of support has typified the way they have played. A lot of it is down to self-belief. You can talk about culture, and culture in a team is about knowing a guy has got your back no matter what. It is typified on the field when you see everyone knowing what others are doing and, at times, it was like the two New Zealand teams had 20 men on the field. Looking at the Waratahs-Highlanders game, it appeared the Waratahs were almost dazzled by the Highlanders' approach. It was mentioned in this column last week how the Highlanders would play with continuity and hit and move, hit and move. They did that and held onto the ball for long periods and chose their moment. There were some fantastic tries scored. Waisake Naholo's effort was amazing. I still can't believe he managed to get that ball down for his try. Both the Highlanders and Hurricanes fans must be just champing at the bit for the final. They deserve to be so proud of their teams, no matter who wins on Saturday. And let's not forget the All Blacks could lose that game against Samoa. I looked at the names of those who could take the field and my mind went back to Munster in 2009, the midweek game, and we only just won that in the last minutes of the game. Munster nearly beat us again. This is a real banana skin. The Samoans are going to be pumped up in Apia and we're not putting our third string team out there. If we lose, we've asked for it.